Among other things, you’ll now be able to start a chat with your friends via the search function. You’ll also be able to find Discover stories from publishers—which Snapchat removed from the top of its interface in October—more easily. The new features are currently only available for select Android users, but the company says they’ll soon roll out to iOS users, too. Last year, Facebook began taking inspiration from Snapchat, introducing copycat features on its own products, like Instagram stories. 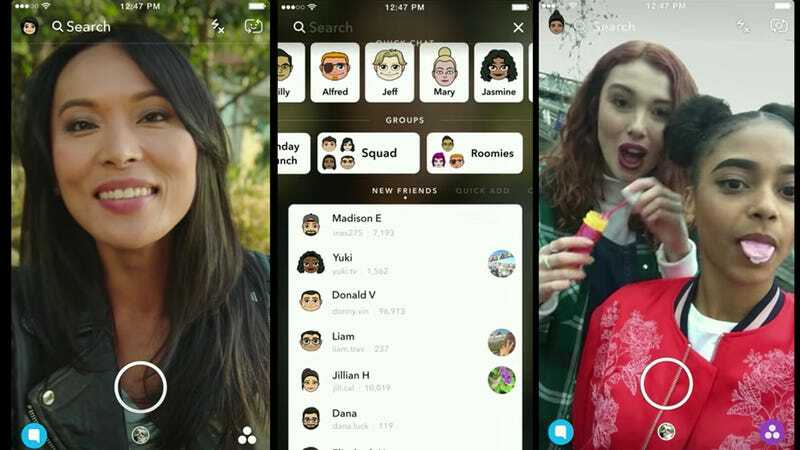 So as Snapchat prepares to go public at an estimated $25 billion valuation, it’s understandable that the company would want to tweak the interface to appeal to a market beyond tech-savvy teens. While it remains unclear how much “grit” an app can truly have, this much is true: Nothing cool can last forever, and adults ruin everything.